Here we are in mid April and we’re still skiing. Well some are, I’m recovering from a PRP injection in my knee that I had last week. PRP stands for platelet rich plasma, which is essential part of your blood cells. They’re the good ones that help with healing. My last injection was nearly 15 months ago, so hopefully, this one will last equally as long and I’ll be back skiing soon or on the bike. 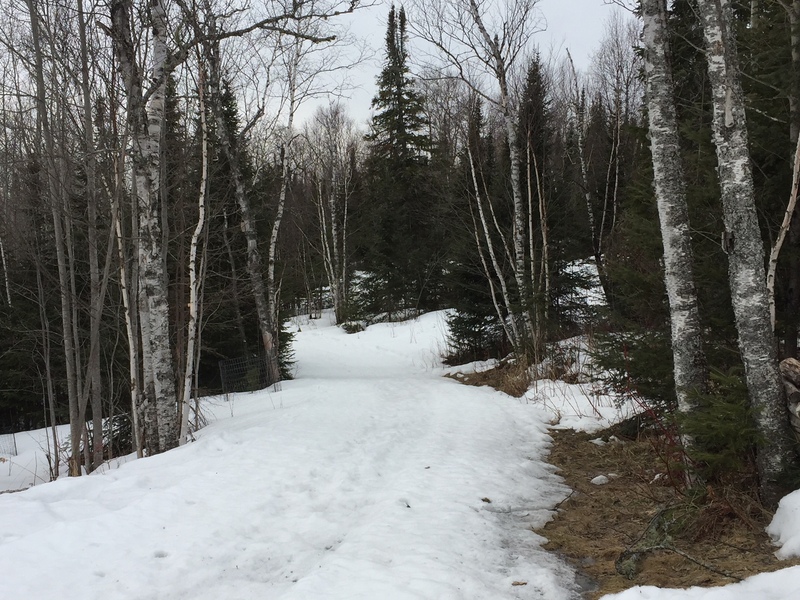 Even with some ice flows on the Pincushion trails, the skiing had been amazing this spring. Pisten Bully grooming goes a long way to refresh the classic tracks and skate lanes. 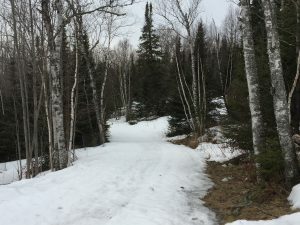 Here’s a photo from the ski shop looking down on the connector trail off of North Advanced. I have run Devils Track Nordic Ski Shop since the fall of 2000.